This smart smoke/CO detector isn’t much better than a dumb one. When I reviewed First Alert’s Onelink Safe & Sound smoke alarm in mid-2018, I found it to be a powerful entry in the smart smoke detector market. Its inclusion of Bluetooth and an Amazon Echo-compatible smart speaker set it apart from every smoke and carbon-monoxide detector on the market. But its $199 price tag also made it far and away the most expensive device of its type on the market—and that price hasn’t budged since its release. Enter the Onelink Smoke + Carbon Monoxide Alarm, which lowers the cost of the original product by stripping out its most compelling features: The smart speaker and Bluetooth. Like other products in this category, the Onelink Smoke + Carbon Monoxide Alarm is designed to extend the capabilities of a smoke detector by linking it with your smartphone. It still functions by firing off a (rather loud) local siren whenever smoke or CO are detected, but it also (supposedly) sends push alerts to your mobile device, a feature that is most helpful for times when you aren’t at home but still want the peace of mind that it’s not on fire. 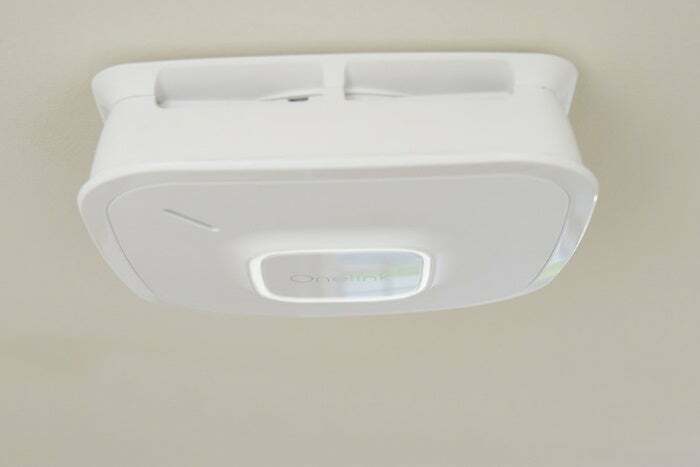 If you have multiple Onelink devices connected to the same account (even if they’re different models in the Onelink line), they are designed to all go off simultaneously when smoke is detected, which can deliver a big benefit in a large home. First Alert says this lithium battery pack will last five years, but the company can’t tell us how much it will cost to replace. 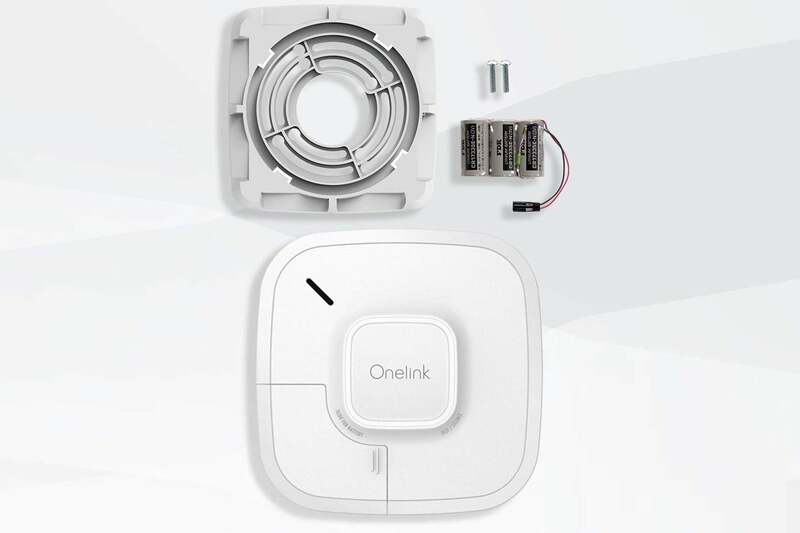 The Onelink Smoke + Carbon Monoxide Alarm is available in both battery-powered and hardwired versions, but the only notable difference between the two is that the latter includes a user-customizable nightlight. Note that the battery-powered model (reviewed here) is powered not by standard AAs but rather by a three-cell lithium power pack. First Alert says this battery is rated to last five years, but replacement packs are not yet available, and First Alert declined to say how much they’ll cost when they are. 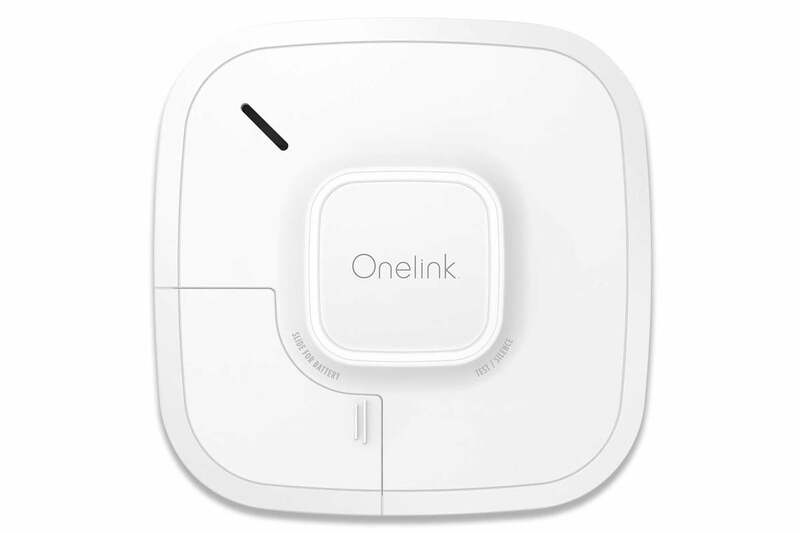 The Onelink alarm is a HomeKit product, and setup proceeds along the straightforward lines of installing the Onelink app and then scanning a code on the side of the device and waiting for it to connect to your network. Within the app, you can test the alarm and check its recent history—at least in theory. In my testing, that didn’t work as advertised. I tested the Onelink Smoke + Carbon Monoxide Alarm both with a simulated fire and by pushing the Test button on the alarm itself. Once the alarm activated—with both siren and voice alerts announcing the type of danger and its location—I waited for the app to kick in and alert my phone. And waited. And waited. After repeatedly tripping the audible siren, not once did the app ever indicate there was a problem via a push notification or a message within the app itself, and none of the incidents showed up in the alarm activity history. As far as the app was concerned, my house was fine, even though the alarm itself was sounding off. I tried resetting the system as well as testing the alarm with an Android device and was eventually able to get some notifications and history on both devices during testing, but this was erratic. Sometimes I would get a history notification on one device but not the other, and I never received a pop-up notification on the Android device. On Android, push notifications were disabled by default, and try as I might to change this setting, push notifications would invariably revert to disabled after I left the settings menu. Suspecting a hardware problem, I requested a second device from First Alert, and this one worked better from the start. I was never able to get push notifications on Android, but they did work on iOS reliably, as did history logs for both devices. I was also able to test the interconnect feature using the two alarms. This worked some of the time, but only if I set off the alarm on the second device, causing the first device to go off as well. Still, the interconnect function was not reliable, and never did setting off the first alarm cause the second one to also alert. I suspect there’s something wrong with the network connection here, with the iOS app also sometimes indicating a “device is unreachable” error, even though in-app testing always later said the connection was OK. Whether I simply had bad luck with a bum unit (or two), or there’s a systemic communications problem is hard to say, but I will note that several Amazon customer reviews have reported very similar issues. The Onelink Smoke + Carbon Monoxide Alarm’s price tag is on par with other smart smoke/CO detectors, such as the Nest Protect, but its real-world performance is closer to interconnected “dumb” smoke detectors that sell for $80 to $90 a pair. Given its inconsistent operation, it’s decidedly tough to recommend. 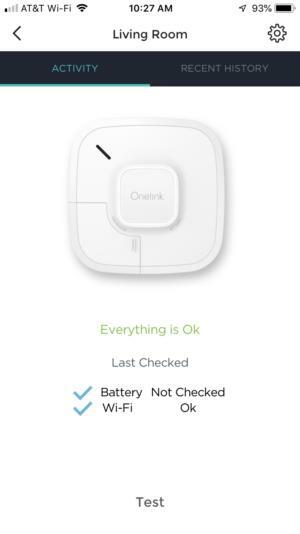 This story, "First Alert Onelink Smart Smoke + Carbon Monoxide Alarm review: This alarm doesn’t work entirely as advertised" was originally published by TechHive. Operational problems prevent us from recommending this pricey smoke/CO detector.